The chanterelle clean, shallots cut into rings and chop garlic finely. Both in butter until translucent, add the chanterelles, season with salt and pepper and cook in covered saucepan over low heat. The roasted Styrian Gold Pumpkin Seeds. The mushrooms on a platter. 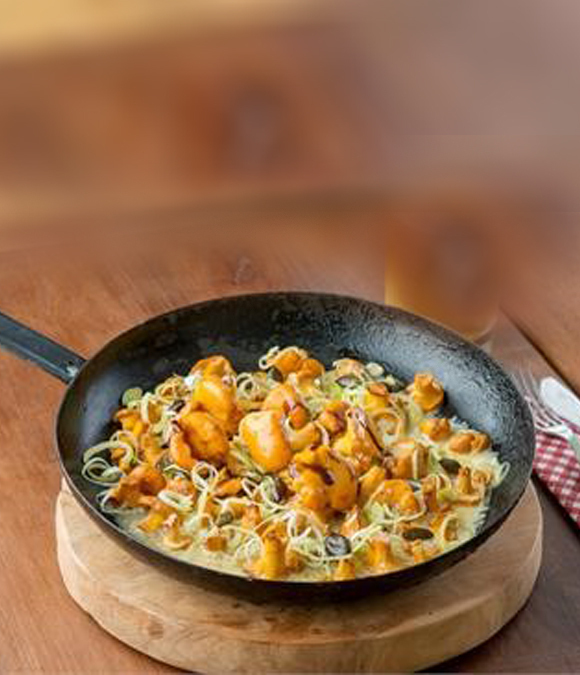 Chop the onion into rings and sprinkle with the Styrian Gold Pumpkin Seeds over the chanterelle. Mix the vegetable stock with egg yolk, vinegar, salt and pepper and Styrian Gold Pumpkin Seed Oil and pour over the chanterelle.